From surgical instrument handles and catheters, to drug-eluting implants and stents, different jobs require different devices to be made. Different devices in turn, require different fabrication processes. In this article, we’ll discuss five different molding processes within our expertise here at ProMed, and explain the niches that each of them fill. Liquid Injection Molding (LIM) is a process in which liquid silicone rubber (LSR) is injected into a heated mold under pressure, completely filling the cavity before curing into a solid part which is then ejected from the mold. This process is virtually identical to the injection molding of thermoplastic polymers, except for the fact that LSR is a thermoset polymer. This means that the mold must be heated (not cooled as with thermoplastic resins) so that the mold permanently cures the silicone in a process called vulcanization. Once cured, the part will not melt back into a liquid. This flipping of temperature zones also means that LIM utilizes “cold decks”, not “hot runners” in order to conserve material and reduce cycle times. Injection molding is a natural fit for making medical devices out of silicone because LSR’s low viscosity allows the mold cavities to be filled quicker and at lower pressures. LIM’s short molding cycles produce cost-effective parts in medium- or high-volume production runs, making it a popular choice for our OEM customers. Transfer molding is a process that’s similar to injection molding, and uses many of the same elements: a heated mold cavity, sprue channels, and an external actuator that pushes the molten material into the mold. In transfer molding, an open chamber (called the pot) is filled with the material to be molded (which can start as either a solid or liquid). Then, a plunger pushes on this material and squeezes it into the mold, which is connected to the pot via channels. Transfer molding typically uses higher pressures than injection molding does to fill the mold. Another difference is the fact that the mold casting material may begin the process as a solid, in contrast to both LIM and thermoplastic injection molding. Whereas LIM is the preferred process for LSR, transfer molding (along with compression molding, explained below) is commonly used for a different type of silicone called high consistency rubber (HCR). HCR’s higher viscosity makes that particular silicone unsuitable for injection molding. If the pot in the transfer molding process were removed, and the top half of the heated mold took the place of the plunger, the result would be compression molding. Unlike both injection molding and transfer molding where the molded material is forced into the cavity, compression molding forces the heated cavity onto the material. Like transfer molding and LIM, thermoset elastomers like silicone are used as the molding material. The heat for the vulcanization is provided by the mold and usually a preheating of the material as well. Suitable for high-volume production, compression molding excels at fabricating large parts at low cost and with less waste compared to other methods (as there is no runner system or gates to trim off). One disadvantage of compression molding is that the process doesn’t accommodate undercuts in the parts, as any undercuts make ejecting the cured part very difficult. Parts made by the three molding processes described above need not be a single material all the way through. It’s often very desirable to make a composite product which has a plastic or silicone layer molded over some or all of a piece of a different material. Silicone gripping surfaces on steel surgical instruments are just one example of such overmolding. Creating overmolded parts is typically a two-shot (or more) process—essentially a separate molding process for each layer. OEMs must carefully check the material compatibility of the materials they wish to combine because not all combinations of elastomers, thermoplastics, and metals are possible. On the whole, though there are few obstacles, leaving the OEM’s design team’s creativity as the limiting factor. Insert molding also involves combining premade parts with molded rubber or plastics, but is a one-shot process. This is because the inserts are usually metal parts like threaded studs, which are machined rather than molded. Both overmolding and insert molding are great for joining parts to moldable materials without using adhesives or mechanical fasteners. The last molding process on our list is actually an indirect molding (i.e. casting) process, since it’s a method to make molds that then make the actual parts. With that aside, room temperature vulcanizing (RTV) silicone casting definitely deserves to be on any list of processes applicable to silicone molded medical devices. A cost-effective way to produce small volumes of parts, RTV casting reproduces surface textures and other fine details. Furthermore, since silicones feature great chemical and heat resistance, RTV molds can be used to cast materials like low melting point metals (e.g. zinc and pewter), epoxies, waxes, and gypsum—all without needing a mold release agent. The team at ProMed specializes in molding medical devices, including the five methods we touched on here. 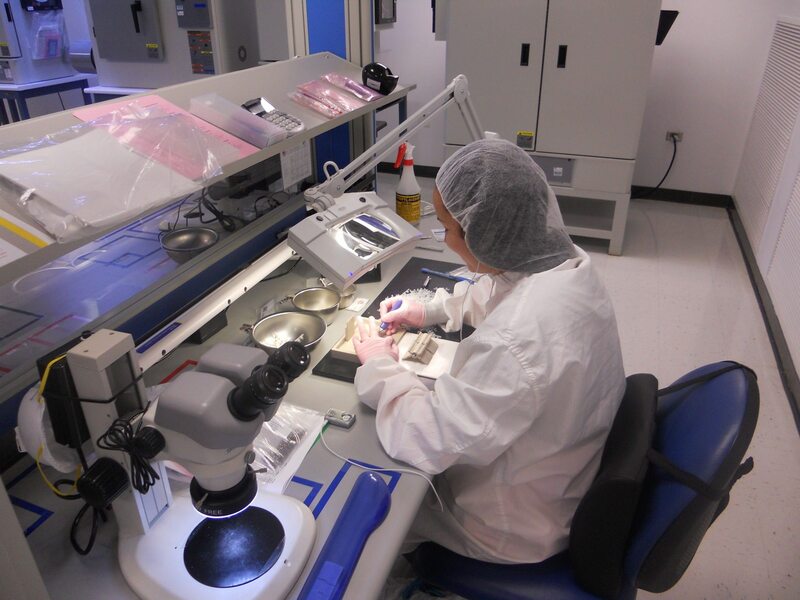 Whether you’re in the market for micro-molded implantable devices, or an RTV casting for new design concept, the professionals at ProMed have you covered.